The Mount Esja trail is probably the best known and most visited hiking trail in Iceland. 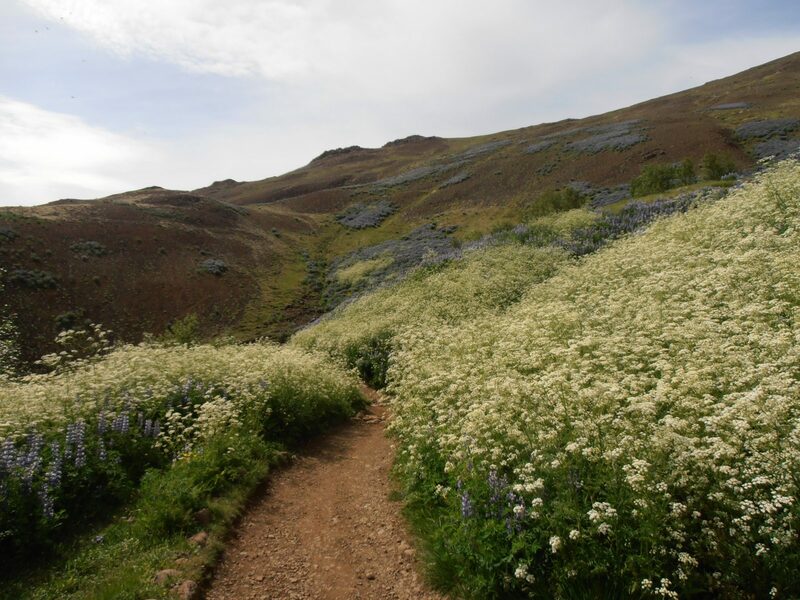 The trail leads to a volcanic mountain range called Esjan which is often referred to as Mount Esja. 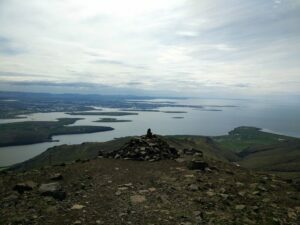 Mount Esja is easy to reach from Reykjavik and offers an astonishing view on the capital and beyond. 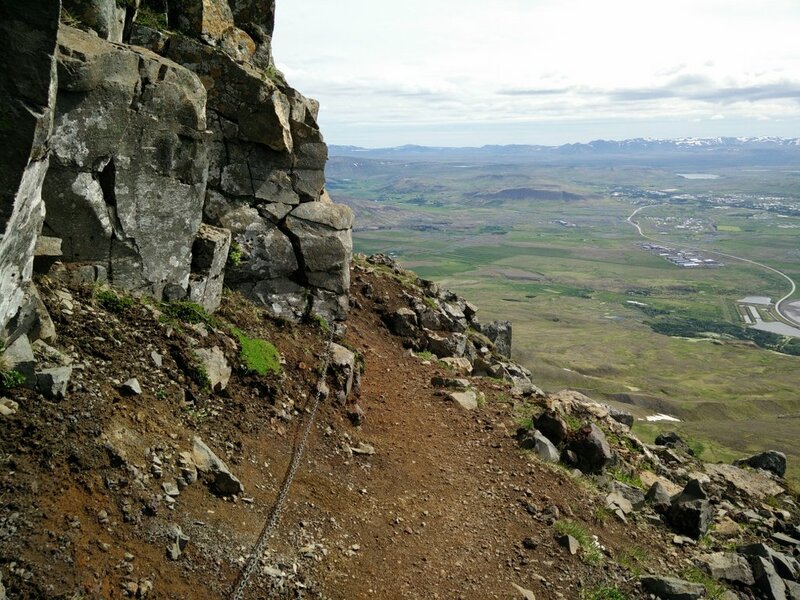 As you might know I was for quite some time stuck climbing insignificant mountains in Iceland because all the higher ones were still covered with snow (see all my adventures in Iceland here). If I would have brought my crampons and ice axe, this wouldn’t be a problem. 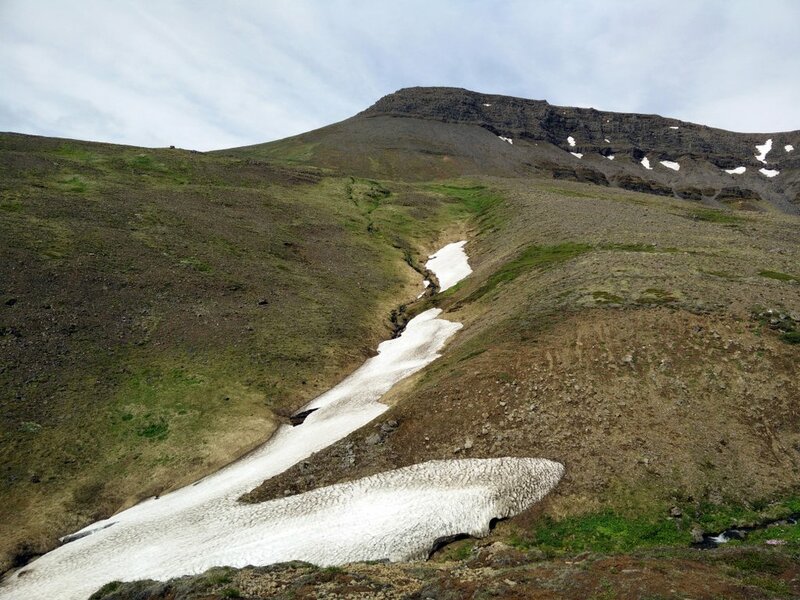 However, July brought some nice weather and the snow more or less melted below the altitude of around 1000 meters. 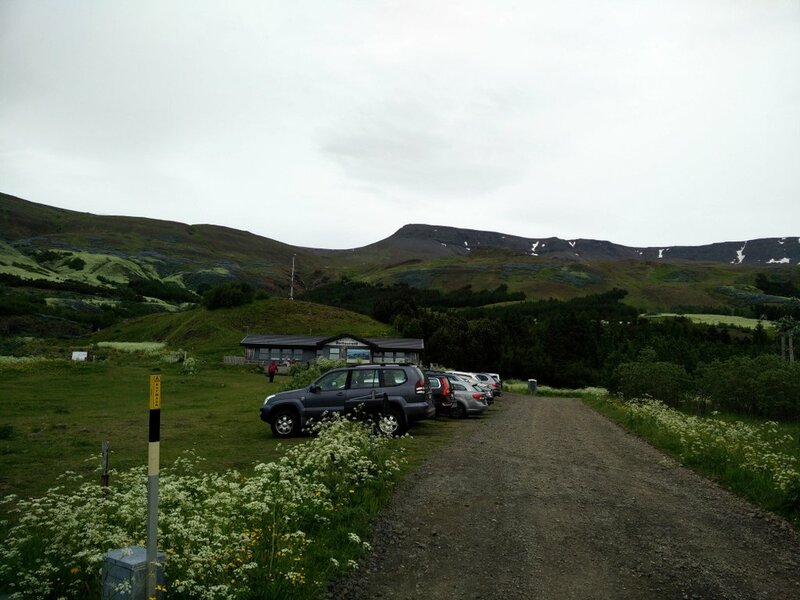 Therefore, Mount Esja was back in the game. 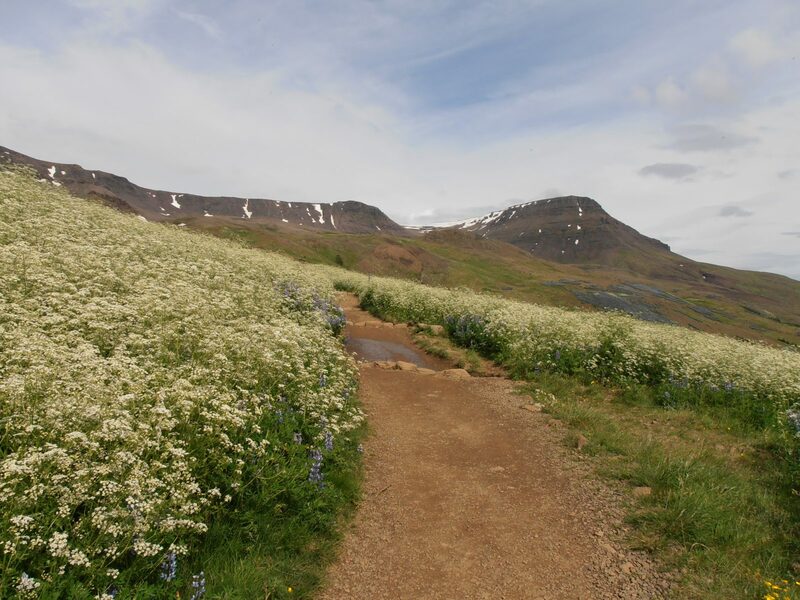 Mount Esja’s starting point can be easily and quickly reached from Reykjavik by public transport. First take bus number 5 from Hlemmur main station towards Artun. If you are not planning to leave from the Hlemmur main bus station, check Straeto’s website to find other buses that drive to the Artun bus stop. The bus drive will take around 10 minutes. At Artun bus stop take bus number 57 towards Akureyri but get off the bus after approximately 20 minutes of driving at the bus stop called Esja Hiking Center. There you will see a big parking lot and a restaurant. The above attached GPS route starts here. You can also reach the starting point by car since the parking lot is very big and free to use. The path is very clearly marked, and in nice weather you shouldn’t have any problems with the navigation. 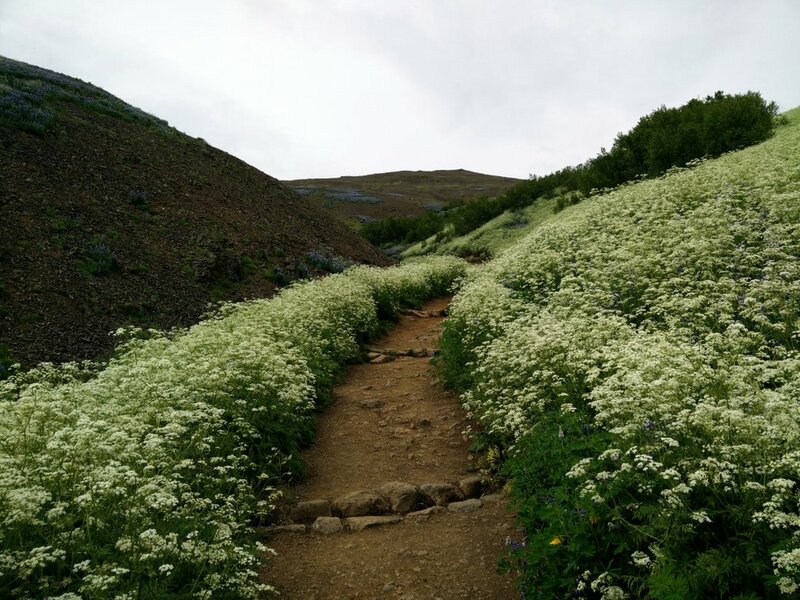 However, keep in mind that the weather can change very quickly in Iceland and that even a simple hike like this can become very difficult in bad weather. Also check snow conditions before going, because if the mountain is covered with snow you will most likely need crampons and ice axe. From the starting point, go past the restaurant and follow the narrow path which runs uphill. After 1.5 kilometer the path splits into two. Both paths are leading towards the top of the mountain range. 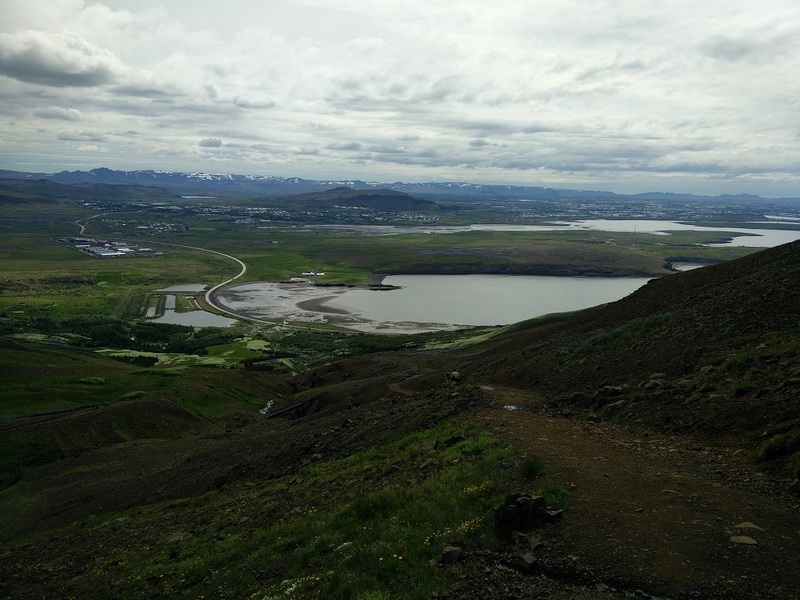 The left (western) path, which I took for the way up, is steeper and requires better footwear. 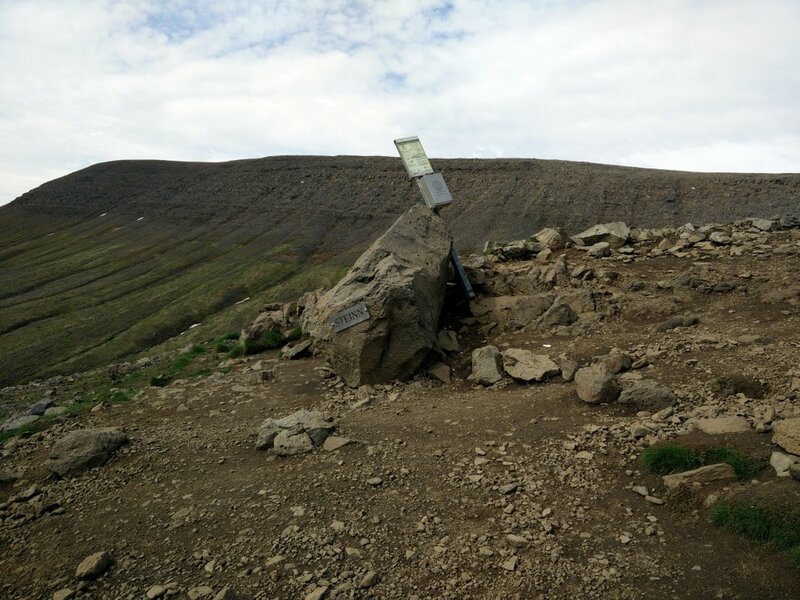 After approximately 2.8 kilometers you will reach the point called Steinn which means rock in Icelandic. The sign Steinn is placed on the rock, so it is hard to miss it. 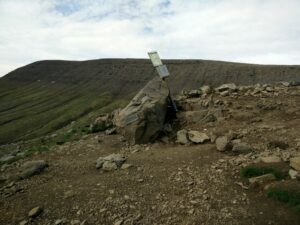 This is also the point where most hikers turn around in case of bad weather or inappropriate equipment. 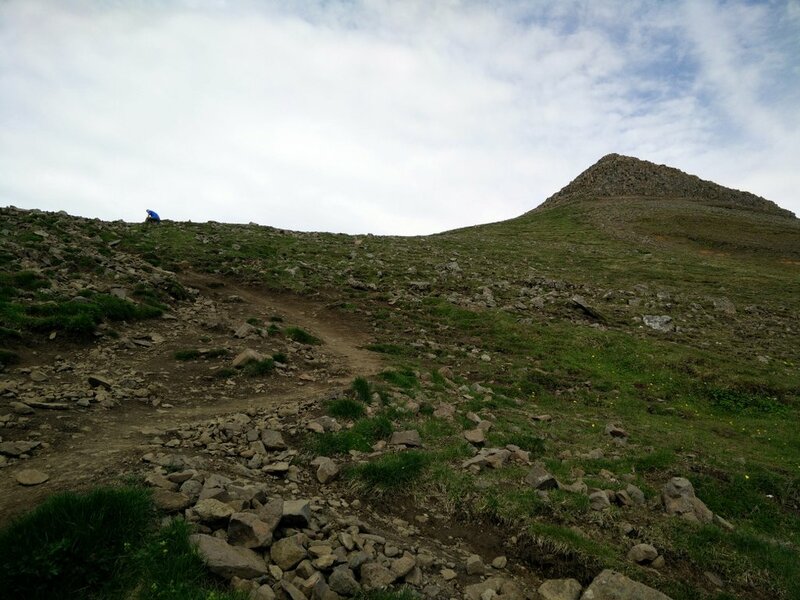 Above the Steinn, the path becomes steeper and more dangerous. There are steel cables at some exposed places which you can use for additional security. 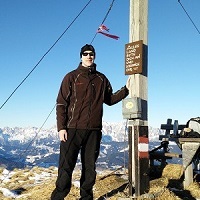 After approximately 400 meters of a quite steep climb, you will reach the top of the mountain range which is called Tverfellshorn. Please note that Tverfellshorn is not the highest peak of the mountain range. The highest peak called Habunga is 914 meters high and lies approximately three kilometers from Tverfellshorn where I turned around (check the GPS route). The path towards the Habunga, didn’t seem to be difficult but I was running out of time because I had to catch the bus, so I decided not to continue. For the way back to the Steinn I used the same path as for the climb. At Steinn I decided to use the less steep eastern path for the way down. The path is very nice and appropriate for everybody. After approximately 2.6 kilometers from the Steinn, the path connects with the path which I used for the way up. Then I just continued back to the bus station, where I barely caught the bus towards Reykjavik. Make sure to check the bus 57 timetable because it doesn’t go so often. On this hike the weather surprised me positively for once – it was way warmer than I expected. 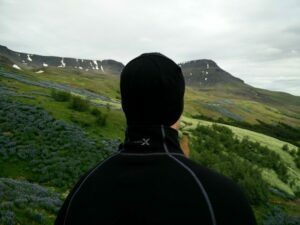 I was wearing a t-shirt made of polyester, Woolx Blizzard Top, windproof Schoeller AB400 pants and Salewa Mountain Trainer Mid hiking boots. On the top of the mountain range the wind got stronger, so I had to put my Woolx hat on. The windproof pants were actually too warm for this hike and I really wished that I would have used less insulated pants. In the Osprey backpack I was carrying some additional clothing, water and food. Regarding equipment I advise you to use equipment appropriate for the season. For example, in winter, late autumn and spring you will most likely need crampons and an ice axe. 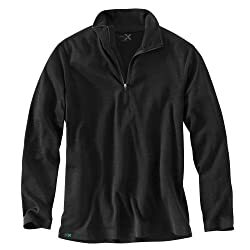 The Woolx Blizzard Merino Wool top is a great piece of clothing. It is made of 100% superfine Merino wool and therefore provides superb performance. The top was actually a bit too warm for the weather that day, but a handy zipper allowed me to efficiently control the temperature and I didn’t have to take it off. The best thing about it is its superb odor control. You can wear it for days and there will be no sign of odor. It can be used as a mid layer or outer layer. 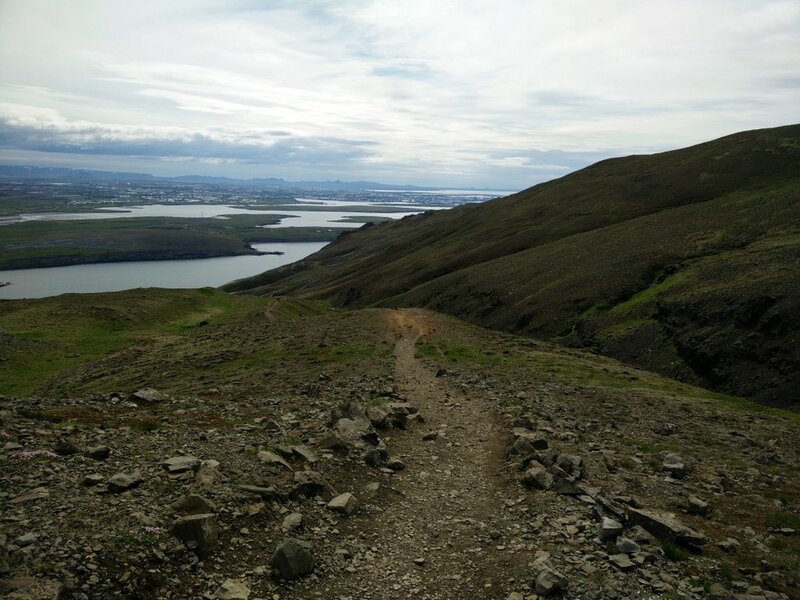 The Mount Esja trail is one of the best trails in proximity to Reykjavik. It is appropriate for everybody, but I would advise those who are not well prepared to turn around at the Steinn because from there on the path gets steeper and technically more difficult. 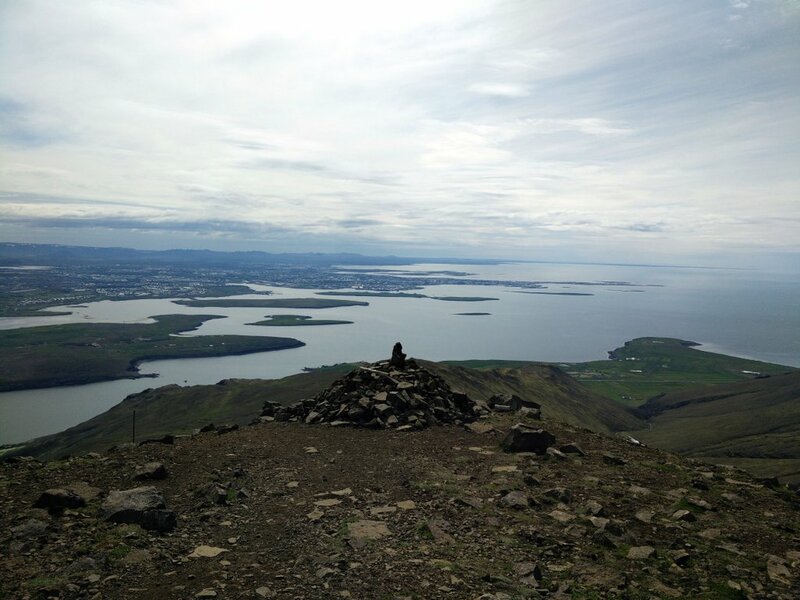 The top Tverfellshorn provides an astonishing view on Reykjavik and the Atlantic Ocean. Regardless of season I recommend wearing a pair of good hiking boots and bringing a windproof and rain-resistant jacket. 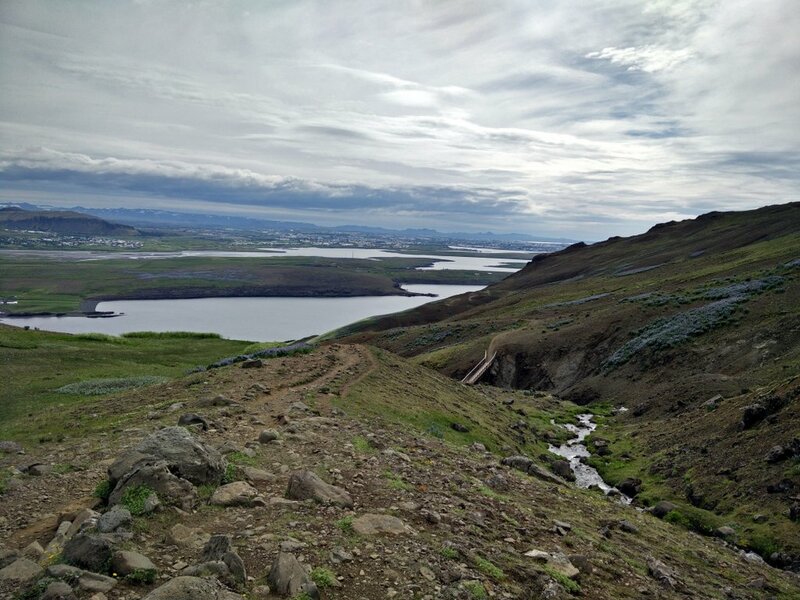 Iceland is indeed a very windy and rainy country where the weather changes rapidly.